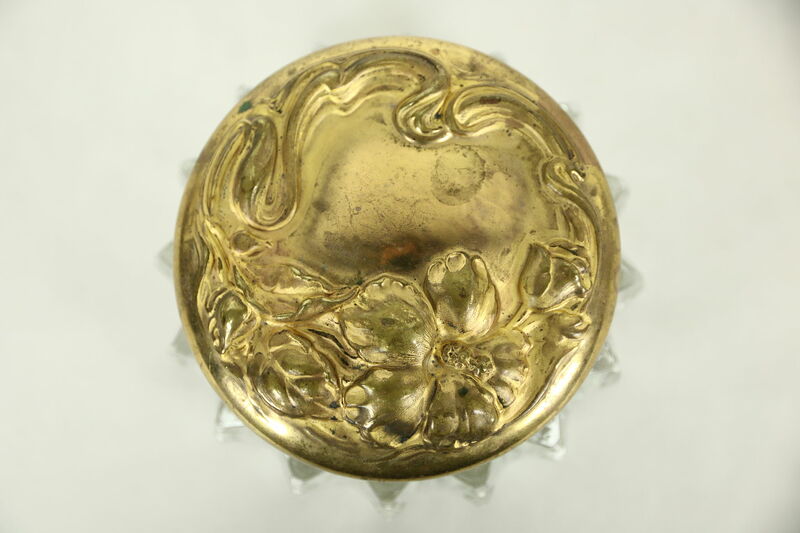 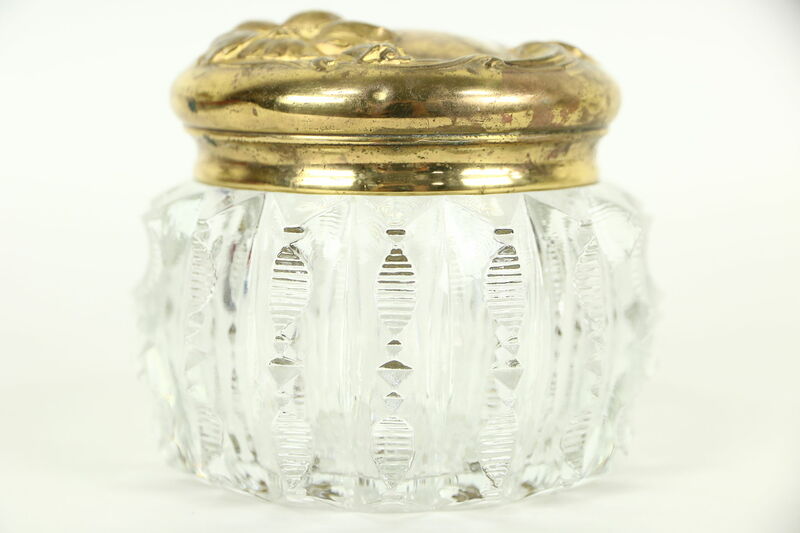 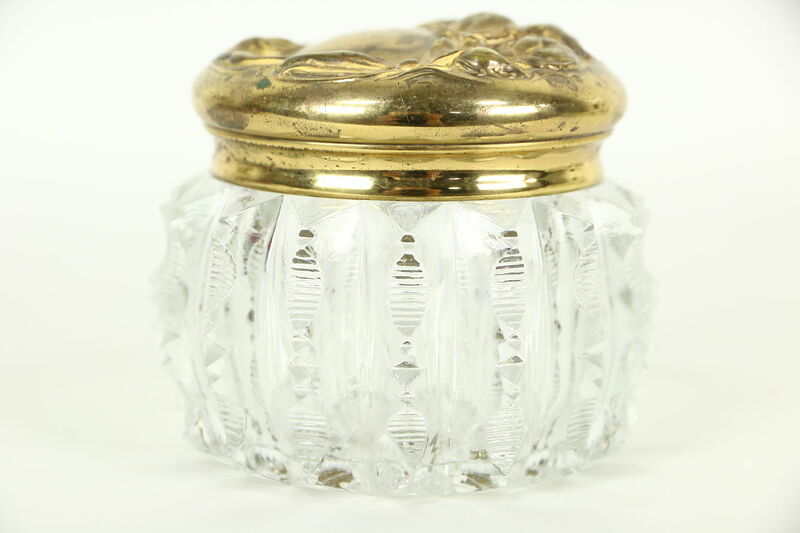 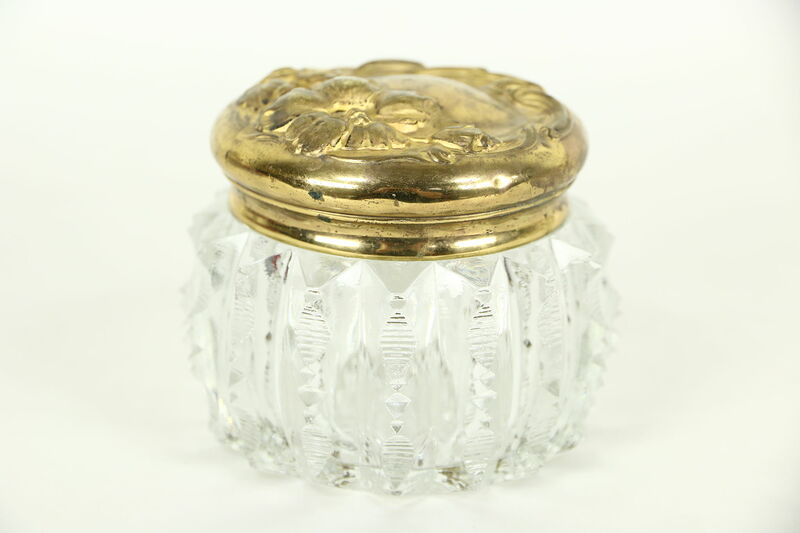 A dresser boudoir or powder jar had an embossed and burnished gold plated lid from the Art Nouveau period. 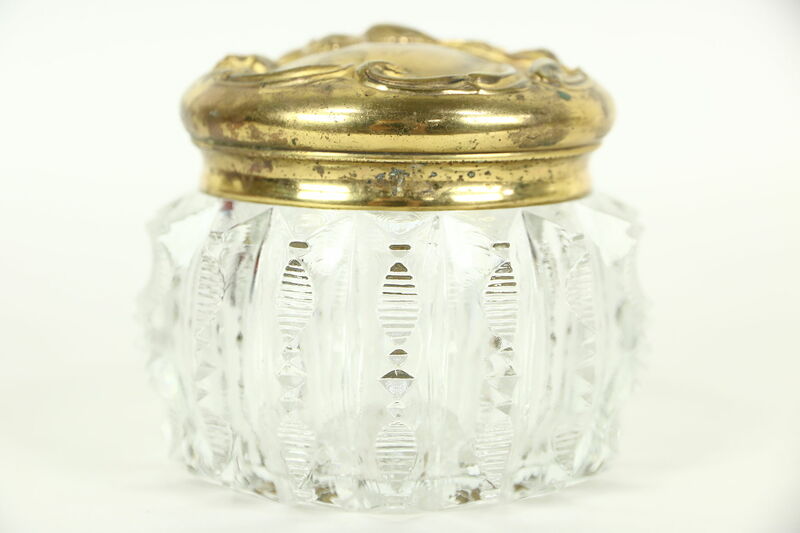 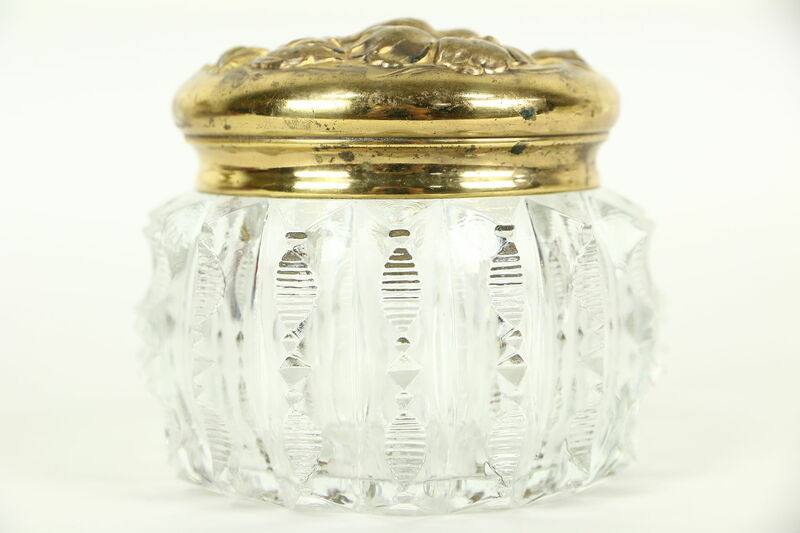 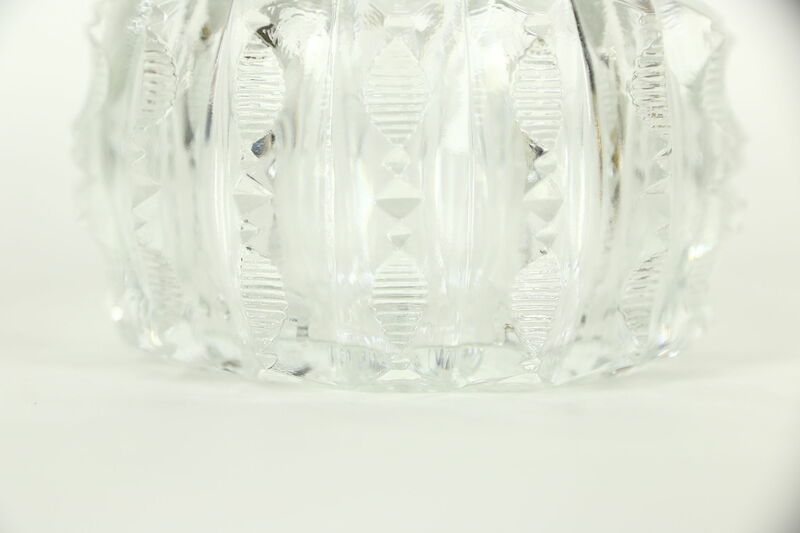 The jar has a deep "cut" design on this American made accessory from about 1900. 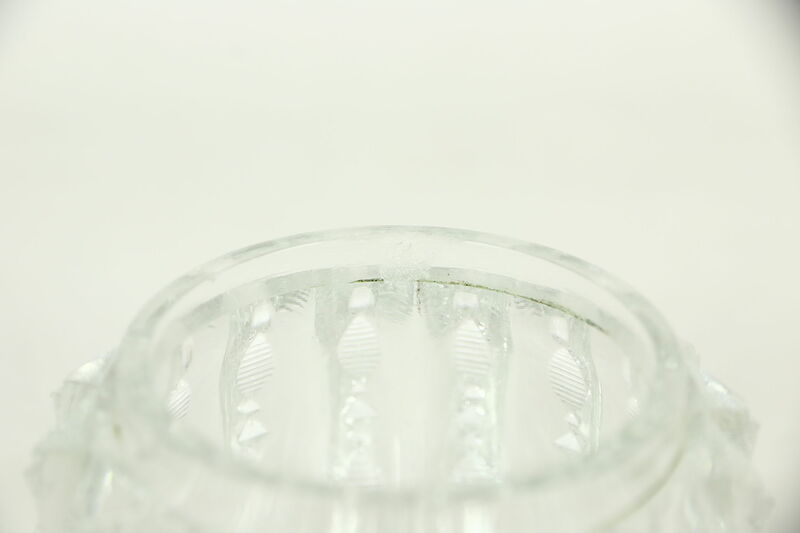 There is a little corrosion in the finish for antique patina as shown and a flake on the inside rim. 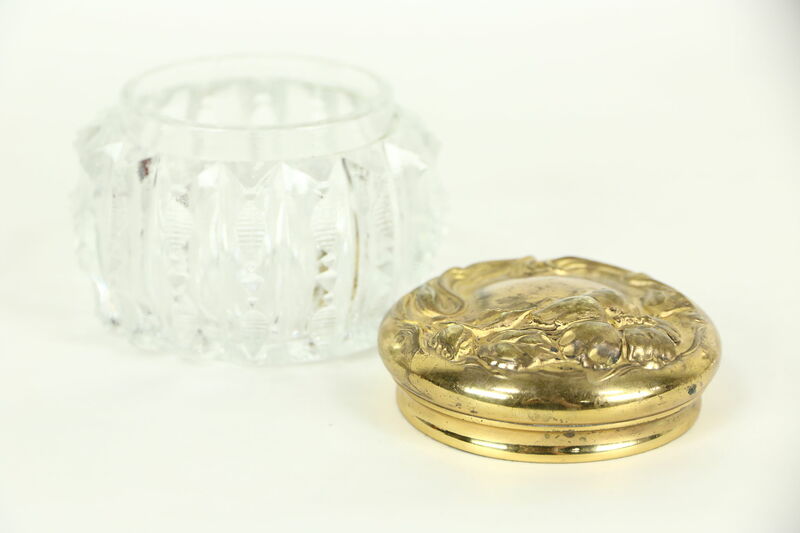 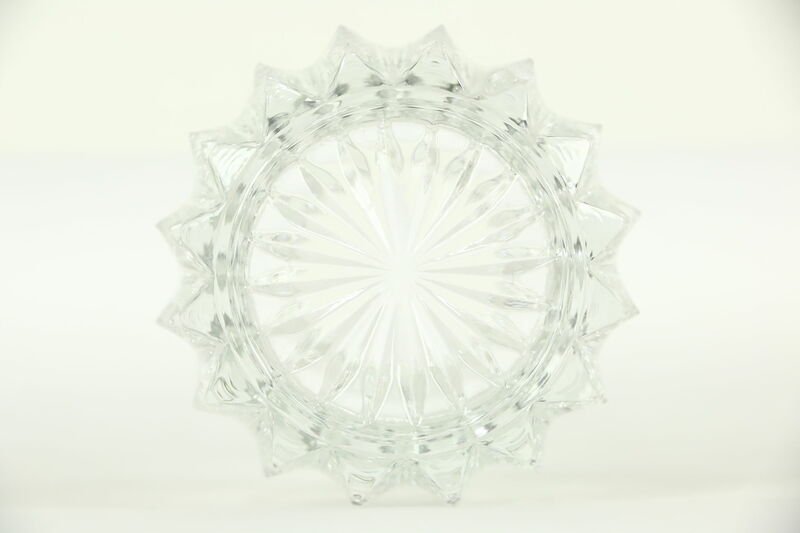 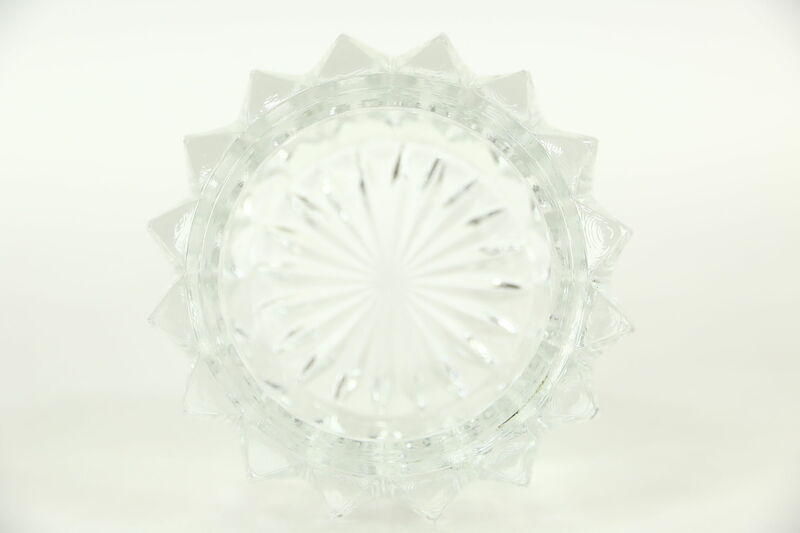 Size is 4" diameter and 3 1/2" tall.